Why do we have Maintenance volunteers and what do they do? 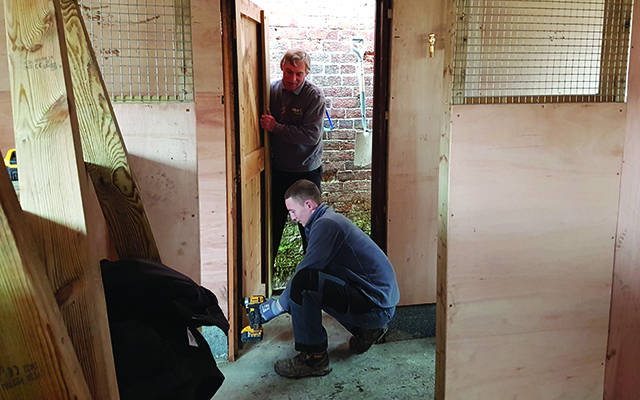 Maintenance volunteers provide valuable support to our maintenance team, helping us to undertake additional projects such as developing existing & new animal enclosures and guest areas along with some general handy DIY tasks. People who enjoy being part of a team and willing to learn. Good levels of physical fitness- you will be on your feet the majority of the day and some tasks will require stamina. People who enjoy interacting with guests. Reliability and regular attendance. We would like Volunteers to attend one regular week day each week from 8.30am – 4/5pm. Please note this scheme is for weekdays only and not available at weekends. Gain valuable DIY skills in a unique environment. Spend time outdoors in inspiring surroundings.